No License Plate, No Problem! Fox 4 News had an interesting story on the front license plate law. The law has always been that you have to have a front and back license plate on your car. Other states, however, only require a back plate. Some people don’t know about this law, or purposely defy it because they don’t want to drill holes in their front bumper. Time and time again, I have seen local police use this as an excuse to pull people over to see if they have been drinking. Its one of the may little traffic laws that law enforcement use as a pretext to stop a car when they are only looking for drunk drivers. 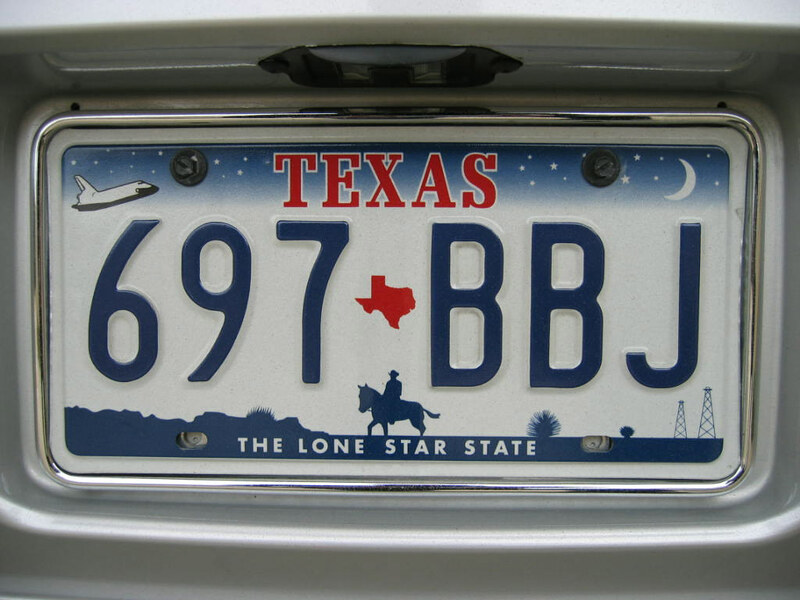 DALLAS – Vehicles in Texas must display both front and back license plates. It’s been a state law since 1934. But lawmakers in rewriting the state transportation code recently made what could be a serious omission. In the new bill passed into law on the last day of the session that language was accidentally struck from the measure. “Problem is they didn’t move it over to the new section, therefore it’s not a crime,” Gregg said. And if the offense is no crime, law enforcement officials may no longer be able to pull people over for it. “It is fairly common. Unfortunately in this state people don’t really adhere to the two plate rule like they should. They put a lot of their school logos or their favorite football or baseball team and it is against the law. It is a crime,” said Sgt. Don Pertiz with the Dallas County Sheriff’s Department. Pertiz said the law is often used as a tool to stop criminals on the streets. “You’d be surprised how many offenses we uncover that start with no front license plate,” he said. Trying to rectify the wrong, El Paso lawmaker Joe Pickett, who wrote the bill, has asked the attorney general for an opinion on whether it is a Class C misdemeanor not to display two license plates on a motor vehicle. “Most times they don’t give you a ticket for this so the issue of not having a fine is not really it. The issue is they’ve taken out that it’s an offense. It’s not an offense. They can’t use it to pull somebody over, which they use it every day all day long,” Gregg said. Pertiz said officers will likely continue to issue tickets based on the original law and let the courts worry about it.